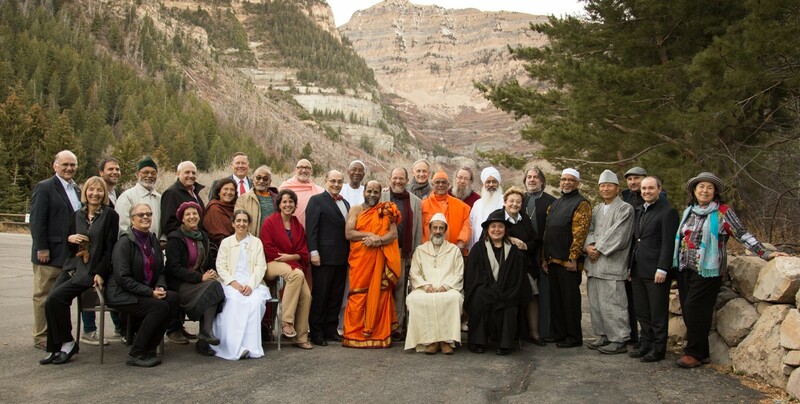 The Elijah Board of World Religious Leaders has just held its fourth bi-annual meeting. The meeting took place in the Holy Land, in Haifa and Galilee, and its host was Chief Rabbi Shear Yashuv Cohen of Haifa. Haifa, a city that captures the memory and aspiration of the prophet Elijah, has played an inspirational role in the founding of the Elijah Interfaith Institute. Holding our program in Haifa therefore evoked the organization’s roots, that continue to feed its extensive international activity. The meeting brought together about forty Board members, their representatives and the major religious figures of the Holy Land, with the support of the Elijah Think Tank, and special invited guests. The meeting was generously supported by the Fetzer Institute. Beauty was plentiful, as we enjoyed the hospitality and outstanding aesthetics of the various venues offered by the neo cathacumenal movement in Domus Galillaeae, by the Bahai community and by Haifa University. What did we discuss? The theme of the meeting was “The Future of Religious Leadership”. Sharing what it means to be a religious leader in today’s world requires the kind of trust and openness that have come to characterize this group of leaders. We looked at the challenges that the different traditions face, and how they affect religious leadership. We tried to learn from each other how to cope with our common challenges. We took a close look at how religious leaders are being formed in our various traditions and considered how the future training of religious leaders might be enhanced, especially in the domain of interreligious relations. seminarians in their respective religious institutions. And we met with Palestinian students during a visit to the Palestinian Christian town of Bet Jalla. While deepening relations between members of the Elijah Board, the meeting also had broad impact. Through television and newspaper coverage the meeting also reached the broader public, both local and international. What practical conclusions did the meeting reach? Deepening commitment to working together and to adopting the development plan, proposed by Elijah’s steering committee. The successful experience of reaching out to students and future leaders provides a basis for continuing activity. 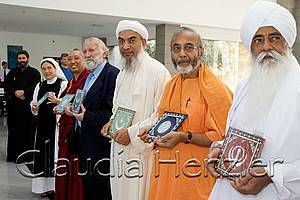 Large support was shown for the idea of implementing some component of common interreligious educational activity in the curricula of different seminaries and training programs. The visit to Bet Jalla also yielded a commitment to maintain relations with the young Palestinian students and to develop communication between them and youth in our various religious communities. What was particular or special about holding the meeting in the Holy Land? Above all, the inspiration of the Land, its history and the spiritual life that it has sustained for thousands of years. The meeting included extensive visits to sites, holy to the religions of the land. These visits provided time for deepening relations, but such deepening took place through a spiritual sharing that was transformative for many of the leaders. I regret not being able to share some of the personal testimonies that leaders shared with me. Suffice it to say that for many, the power of the encounter with the spiritual life of Israel, its holy sites and its religious communities was not simply opening and inspiring, but transformative. It is more than likely that beyond any practical conclusions that we reached, the real fruit of the meeting is found in the spiritual lives and experiences of participants. We may not be able to measure this fruit or even report on it in detail. However, this very inability is, in its own way, a sign of its spiritual authenticity and an indication of the long term promise it holds for the leaders and their communities. Being in the Holy Land was also an opportunity to deal with some of the painful realities of Israelis and Palestinians. One of the meeting’s themes was forgiveness and how it pertains to religious leadership. The depth of sharing of pain on both sides led to unprecedented intimacy between the leaders. 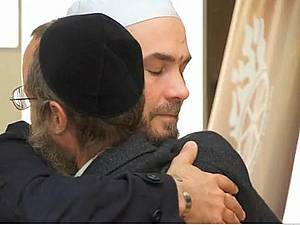 It is no exaggeration to say that Elijah is now a place where the world’s religious leaders can cry together. ony of what the meriting provided for him. The meeting gave him a sense of community. Now, each of our religious leaders belongs to a community, and when we initially brought them together, we brought them together as a “board”, a term that carries formal connotations. 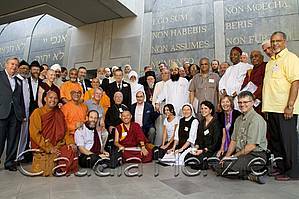 What has now been formed is a community, a community of religious leaders from different traditions and different parts of the world. It is a community based on profound relations, trust, and vulnerability. And this provides the platform for all future activities of the Board of Religious Leaders, as it continues to reach out to the leaders’ communities, to youth and to the public at large. How can one get a sense of the meeting and the quality of interactions? But perhaps more inspiring is the photo-video we just released on You Tube. In 10 minutes you can view a gallery of sights and sites, of special moments, but above all of faces and interactions that reveal more than words can. You are invited to view this photo-video by clicking here. And how can one get a better sense of the actual substance of discussions? 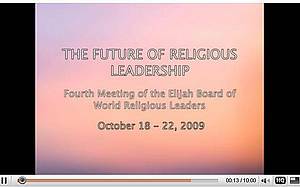 As always, the meeting of the Elijah Board of World Religious Leaders is prepared by a think tank of the Elijah Interfaith Academy. The meeting was based on the preparatory work of the think tank, as well as on the survey on religious leadership that many readers of “Wisdom” contributed to. If you absolutely can’t wait to know more about these. However, in the interest of not making this newsletter longer than it already is, we will return to these items in a few weeks in our next edition of “Wisdom”. However, as a token to the signing of the Charter of Compassion this week (November 12th), we will conclude in the traditional “Sharing Wisdom” with some reflections on leadership and compassion, drawn from the work of the Elijah Think Tank. Many readers of “Wisdom” will be thinking of compassion during these days, on the occasion of the official launch of the Charter of Compassion, launched by Karen Armstrong and a council of religious sages. Our recent project, in preparation for the Haifa meeting, also afforded us the opportunity to consider compassion, as part of the vocation of the religious leader. In considering religious leadership, we could view consider each religion in its own terms, and how it views the tasks and challenges of religious leadership. But one of the striking facts that emerged from the work of the think tank was how close the different religions were to each other, in their understanding of religious leadership. It is as though religious leadership as a phenomenon almost precedes its particular expressions, or put differently: the expectations and the processes associated with religious leadership cut across the differences between religions. The similarity between how leadership is viewed in the different traditions also emerges from our survey on religious leadership. Participants in the survey were asked to rank the qualities they considered most important in a religious leader. Compassion ranks among the top three qualities, universally expected of a religious leader. 97% of respondents expected their local religious leader to be a model of compassion, and 94% of respondents expected their national or international leader to manifest compassion. The common expectations of leadership and the similarity in how leadership is understood across traditions has led to an attempt to draw a composite picture of religious leadership. Within this composite picture compassion plays a prominent role. The following paragraph, taken from my summary essay, is relevant. The summary essay is available by clicking below. We are currently seeking to broaden Elijah’s outreach and impact, especially through the website. We are asking for your support in this aspect of our development work. Kindly consider making a $10 dollar (or other sum) donation, through the following link. Thank you for the privilege of continuing to serve you.